cv. 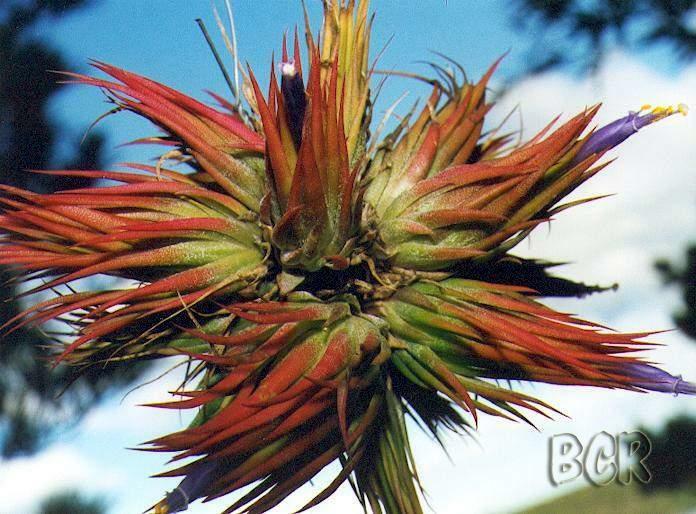 of ionantha v. stricta - Tiny to 4 cm. high- ex South-west Mexico. 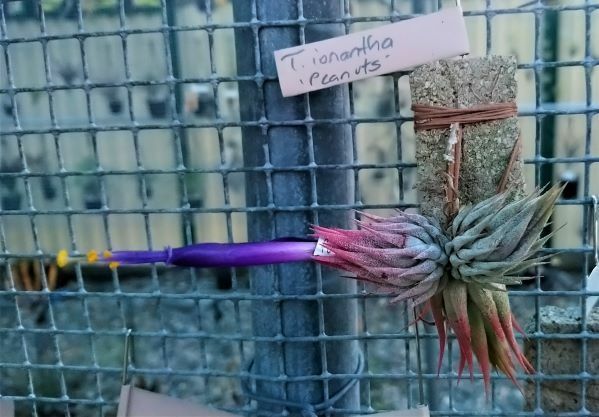 Koide said, "..grows in a population of ionantha v. stricta..appears randomly..red throughout its life..instead of growing into an open rosette, its leaves stay erect, close together and very tight". Now known as Tillandsia ionantha v. stricta f. fastigata (Koide) Ionantha Group.